You Are Here – Running + Crying, Mostly. I love going to yoga right after work. I have convinced myself that I can feel the stress of the day draining from my body, conveyed by the sweat and exhalations. 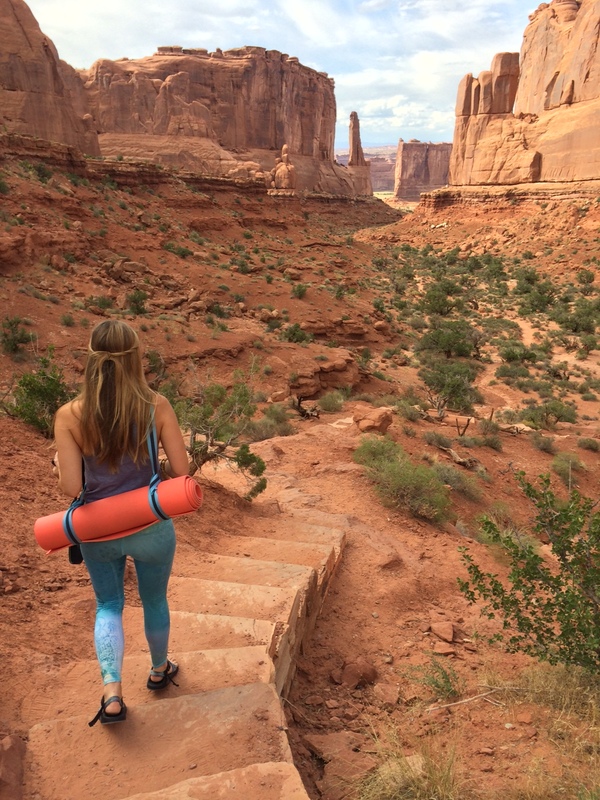 However strongly I feel about the importance of yoga after work, ask me at about 4:00pm on a Thursday if I’m in the mood to chaturanga my heart out… I will most likely groan something about needing a burrito and a nap. As the day progresses, the world offers more and more excuses for why I shouldn’t adhere to my schedule. The thing is, when I sat down and drew out how I wanted my life to look, this schedule represented the ideal. Unless I’m physically unable to practice, there’s no reason not to show up for myself, ESPECIALLY in the face of increasing resistance. Please don’t make me move. However, on this auspicious Thursday, resistance was not to be found and I was looking forward to getting totally blissed out at Alyssa’s strong C2 (intermediate vinyasa, for the CPY uninitiated) flow. The emphasis and mantra of the class was “be here now”. The simple request to stay present can seem really flippant… like, clearly I’m here, I’m in this class, going through the movements, right here in front of you. For me, “be here now” means corralling my wild mind, and building the discipline to pay attention to the beauty that unfolds in front of me on a daily basis. I have this weird habit of planning vacations when I’m sad or anxious or bored. I go online, pick a destination, and then start hammering out details. I e-mail my friends: “Let’s meet up in Seattle next May! Who here hasn’t been to Austin?! Flights are dirt cheap!”. I look at flights, read restaurant reviews, and calculate hotel costs. You don’t have to point out to me how escapist this is- this little mental exercise I do serves the purpose of putting a date on the calendar that I can look forward to. 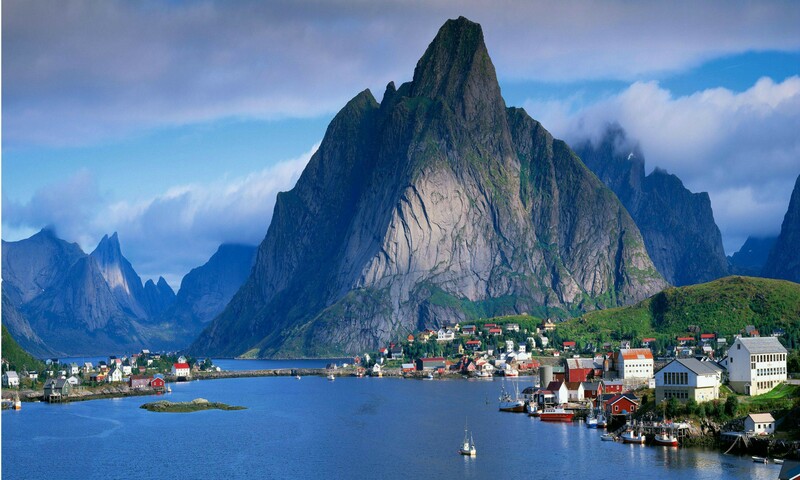 Anyone want to go to Norway next weekend? At this point in my life, I’m living in downtown San Diego, which boasts arguably one of the best climates in the world and TONS to do on any given date. I’m beginning to loosen my clutch on the Southwest Airlines app and appreciate this beautiful city a little more- a “staycation” (the phrase that at once made me shudder) is looking a lot better these days than another cross-country haul because I want to see the fall leaves changing (true life: I almost booked a trip to Chicago this weekend for that exact reason. 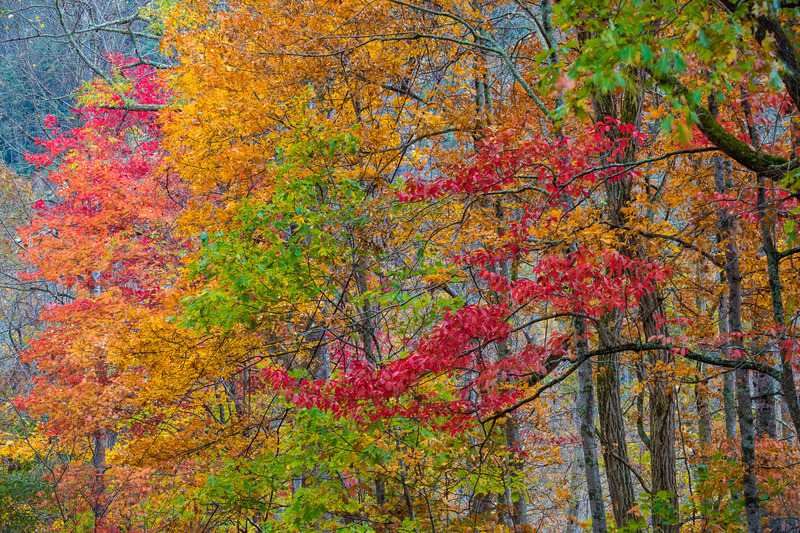 I decided to just blast my air conditioner, drink a pumpkin spice latte and google image search “fall leaves colors” instead. Pretty much the same thing). I have to put on my boots and scarf before looking at this picture to really get into the mood. 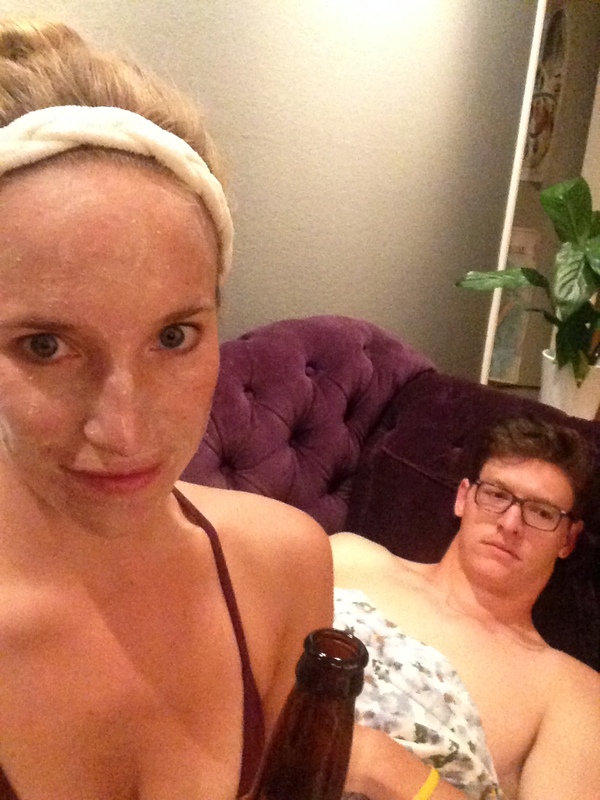 This is what a “staycation” looks like at my house… clay face masks and beer. So, “be here now” might mean leaving your problems at the door before you walk into a yoga class, forgiving someone for something they’ve done in the past, or eve just turning your damn cell phone off. Either way, the past is done and the future is uncertain, so being happy where you are is one of those things that can offer so much happiness if you really take it to heart. Again, a little obvious, but it’s nice to be reminded. A great way to re-focus yourself in the present moment is just to take a deep breath. Do it. Now. See, that felt really good. Close your eyes (unless you happen to be driving) for the full effect. So, my space cadets: how do you “arrive” in the present moment? Let me know!